*CLA is a naturally occurring trans isomer of linoleic acid, which may benefit body composition and support weight control. It is unique in structure because of the location of the double bonds in the linoleic acid molecule. Recent research shows that the specific isomers c9,t11 and t10,c12 play key roles in many of CLA's physiological properties. In a preliminary human study involving 60 overweight subjects, conjugated linoleic acid supported healthy body fat mass. Several animal studies explore possible mechanisms of CLA, including the ability to maintain healthy fat deposition, promote lipolysis in adipocytes, moderate energy intake, and maintain healthy energy expenditure and metabolic rate. This product is sourced from Tonalin® brand. It is derived from safflower oil using a patented process. Other Ingredients: gelatin capsule (gelatin, glycerin, water, carob). Adults: As a dietary supplement, take 3 to 5 capsules per day, in divided doses, before meals. If pregnant or lactating, consult your physician before taking this product. 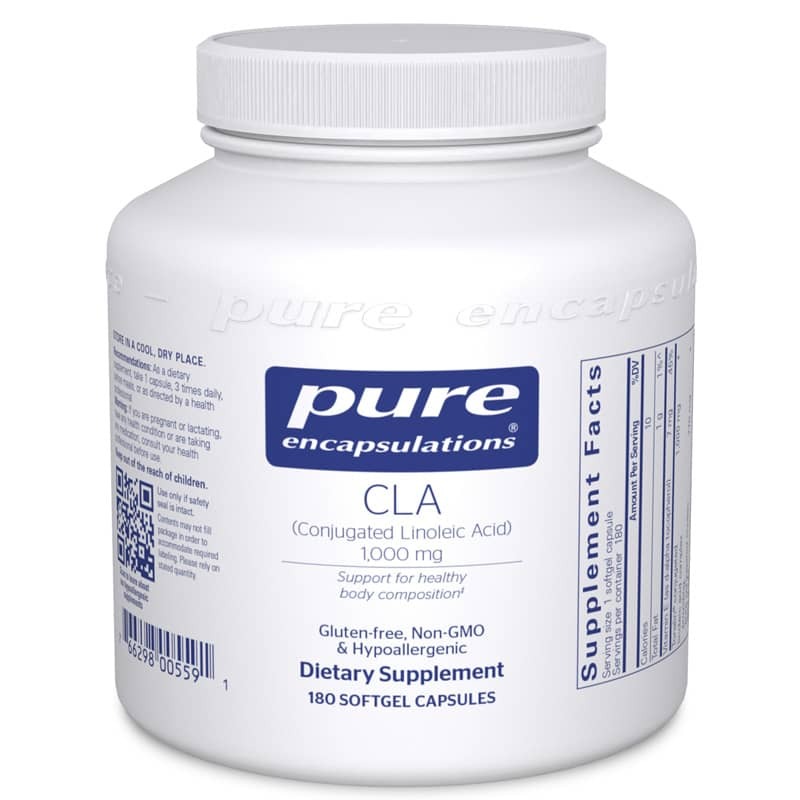 CLA may cause gastrointestinal upset in sensitive individuals. Keep out of the reach of children.